This article is about a former Indian Cricketer - Sudhir Naik, who represented India in both Tests as well as One Day Internationals (ODIs) and played for Mumbai Team in domestic cricket. Apart from a player, he also been a coach of Mumbai Team and a ground incharge of wankhede stadium. Sudhir Naik is a former Indian cricketer and batsman who played in both Tests as well as in ODI Cricket for India. 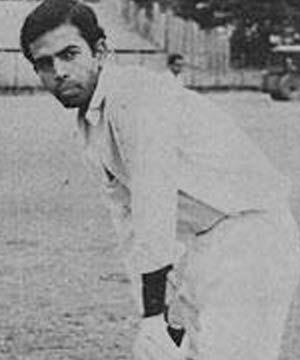 Born on February 21, 1945 at Mumbai, Sudhir started playing for Mumbai in Domestic Cricket. He also captained the Mumbai Team. Under his captaincy in 1970-71 Ranji Trophy season, Mumbai won the Title in the absence of many star players. In 1974, he was selected for the tour of England, and played some good innings in First class Matches, and make ways for his International debut. He does it in the Final Test of the Series, where he played a brilliant innings 77 runs in the Indian Second Innings. He then plays two more Tests at home but fails to perform on the occassion. He also played in 2 ODIS for India but his performance in it is not up to the mark. Sudhir Naik also has been the coach of Mumbai Team for a long period. In 2005, he become the Ground Incharge at The Wankhede Cricket Stadium of Mumbai.